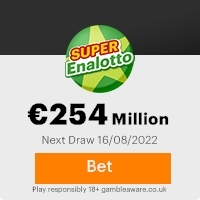 NATIONAL <*xml:namespace prefix = st1 ns = "urn:schemas-microsoft-com:office:smarttags" />UK ONLINE LOTTERY INC.
Congratulations Category A prize winner! You have been selected as one of eight winners of the NATIONAL ONLINE LOTTERY, computer ballot draws and thus will be a privileged recipient of the grand draw prize of Â2,500,000 (Two million five hundred thousand Great Britain Pounds only). You/Your Company, attached to Winning File Reference number LIUK/5020/0261/20; ticket number 219-8IO-97/A. Pounds only). From a total sum of Â20,000,000 shared among the 8 winners in this category. GLOBAL ALLIANC FINANCE INC. U.K.
NATIONAL UK ONLINE LOTTERY INC.
Â 2006 NATIONAL UK ONLINE LOTTERY INC. All rights reserved. Offer valid to winners who are at least 18 years of age. Void where prohibited. No purchase necessary to claim winning prize. You will need to meet all of the steps to redeem as outlined in the Terms & Conditions before you can receive your promotional prizes. To receive this promotion, you must: 1) submit email and mailing address information: 2) check your email inbox for "Redemption Notification" 3) Follow Redemption instructions for prize claims completion. Failure to comply will lead to Decline of Prize, by Board of Directors. Previous: AWARD NOTIFICATIONFresh ScamsNext: AUGUST 2006 (TICKET NO ... /78). This Email with the Subject "AUTHORITY RECIPIENT NOTE." was received in one of Scamdex's honeypot email accounts on Thu, 14 Sep 2006 06:08:20 -0700 and has been classified as a Generic Scam Email. The sender shows as "promprograms@terra.es" <promprograms@terra.es>, although that address was probably spoofed. We recommend that you do not attempt to contact any persons or organizations referenced in this email, as you may expose yourself to scammers and, at the very least, you will be added to their email address lists for spam purposes.